An MBA can be the key for unlocking a global career. But, what if that is coupled with a desire to drive economic growth back home? McKinsey & Company seem to have the answer, as a wave of MBA recruits have landed roles in the countries of their birth, while at the same time tapping into the consulting firm’s global reach. Rodrigo Neves (pictured below, right), an associate in São Paulo, Brazil, explains that the firm’s international presence, people, and culture attracted him after his MBA at INSEAD. He also appreciated the opportunity to take his cultural perspective back home. “As a native in my home country, I can contribute more significantly to improve the business environment in Brazil, and better ensure the solutions and strategies we bring to clients are tailored to our local reality,” he says. Mira Popovic, an IESE MBA graduate who now works as a McKinsey associate in Belgrade, is also excited by the prospect of returning to her roots. She initially applied for McKinsey’s office in London—the city where she spent most of her adult life. However, when the interview committee discovered she was Serbian, she recalls, they reached out and asked her to consider the move back home. Mira (pictured below, right) says she slept on her decision, although she was adamant consulting itself was the career path for her—a decision that became clear after initially spending time in finance. “I am a people person,” she explains, “so consulting was the next natural choice, the type of work was similar, but it offered tremendous client exposure. The Belgrade office is growing rapidly, she adds, and forms a professional family unit with the partner office in Zagreb. 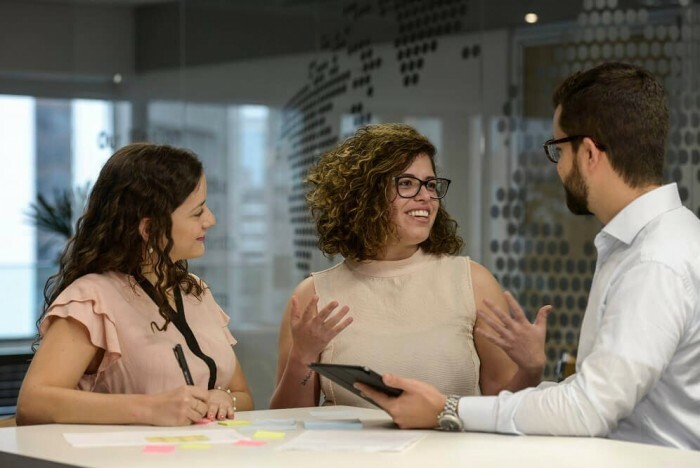 Making a difference to their local communities and countries is highly valued by McKinsey consultants, a trend noticed by Gustavo Tayar, a partner in São Paulo. He says emerging markets are changing so quickly that opportunities are strong for development, improvement, and impact to local economies. Kemi Onabanjo (pictured below left), an associate partner for McKinsey in Lagos, Nigeria, is doing exactly that. She’s had a career with the firm since 2011 but left temporarily to complete an MBA at INSEAD in 2015, before returning. “Being near my family and friends—my support system—is always a great idea,” she adds. McKinsey is also able to satisfy Kemi’s wanderlust. Choosing Lagos, she says she was comfortable in the knowledge that there would always be opportunities to undertake projects abroad. Global mobility is a priority for her, and for McKinsey. As emerging markets grow, they will need more expertise and knowhow to compete and thrive on a global stage. That’s exactly why Harvard Business School MBA, Yun Tay (pictured below) followed a similar path to Kemi and opted to move back to Singapore to become a McKinsey associate. “I have a strong passion in airlines, and I was immediately connected to the network of partners and experts within McKinsey leading the airline practice,” he asserts. Asia is growing in prominence within the airline industry. The region itself is seeing exciting levels of growth, says Yun, and is set to become the region with the largest demand for air travel. The largest airlines will need the advice and help to transform their business models to compete globally, he explains, as they move away from the national carrier mold. Digitization and global growth are also deeply affecting healthcare. During a recruitment event at the University of Chicago Booth School of Business, Tatiana Sasson learned about and was intrigued by the work McKinsey is doing in the sector. She was completing her MBA there, and recalls a partner talking about a healthcare project she was involved in. “When she told me about this work, I was thrilled to become part of the firm in Brazil,” Tatiana says. Tatiana is an associate in McKinsey’s Rio de Janeiro office, and explains part of the appeal of going back home was to help develop Brazil in areas where it lags other regions in the world. To join the firm anywhere in the world, candidates will first go through the recruitment process. To do so, positivity is a key trait to have, Tatiana explains. During her recruitment process, she says the interviewers she met created an inclusive, friendly atmosphere that set the tone for the rest of her interview. Gustavo Tayar (pictured above, on right) says the key to success is to spend time getting to know McKinsey and their process to avoid any surprises or being overly nervous during the interview stage. “We don’t expect for you to prepare alone so feel free to ask for coaching,” he explains. “We really want to get to know you, not a version of you that you think will fit here. Thalita Marcondes, an MBA graduate from INSEAD and a McKinsey associate in São Paulo, advises potential employees to just give it a go. “Even if you don’t get accepted you learn a lot during the process,” she says. Maria Arellano, a McKinsey associate in Mexico City and MBA graduate from Chicago Booth, adds that you should just be yourself during the interview process—McKinsey is a place for everyone, she says.